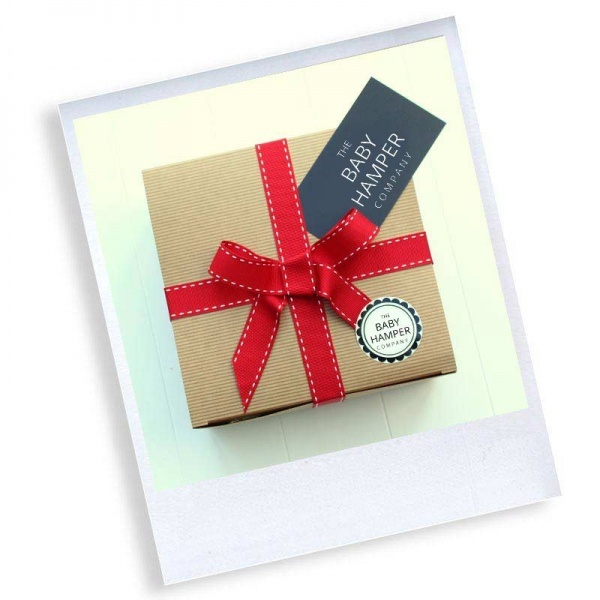 This Ultimate Luxury Unisex baby hamper box is packed to bursting with loads of lovely goodies for mum and baby. 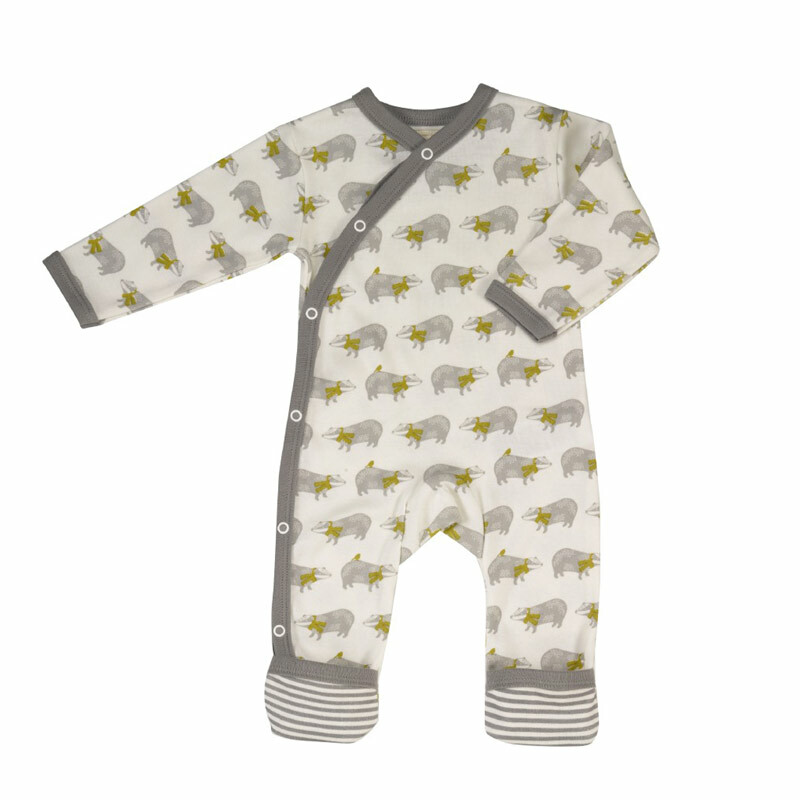 Pigeon Organic sleep suit - A beautiful designer all in one that can be worn in the day or at night. 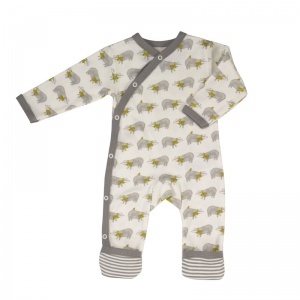 Made from Organic Cotton in age 0-3 months. 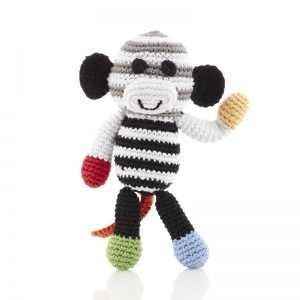 Skip Hop Moon Stroller toy - A great multi-sensory toy to clip to pram or pushchair. 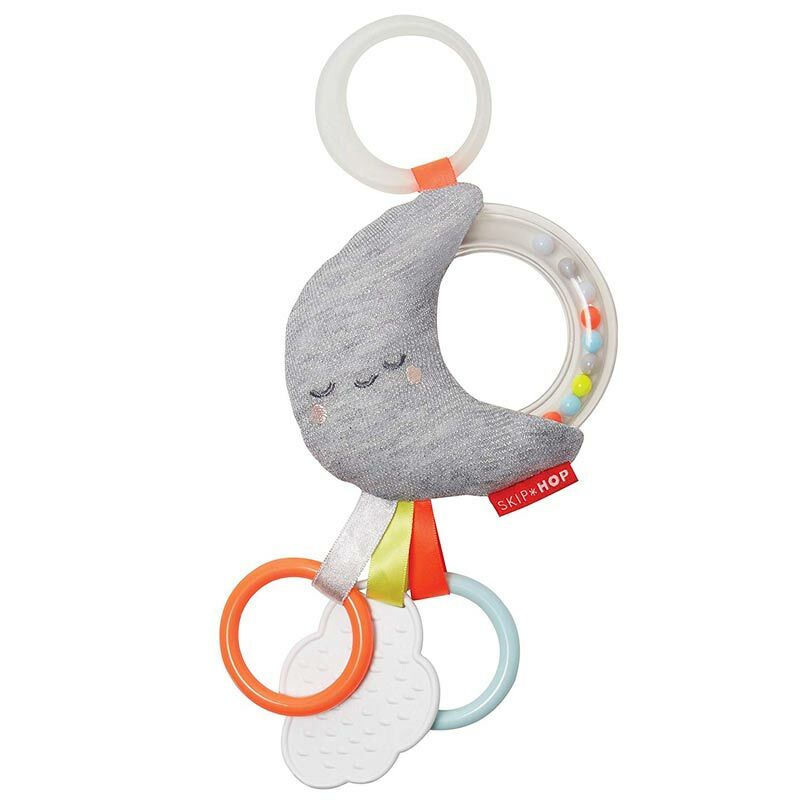 Perfect size for little hands. Bodysuit in star print - Perfect to use as a vest or a summer outfit. 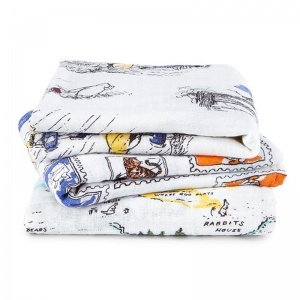 100% cotton in age 0-3 months. 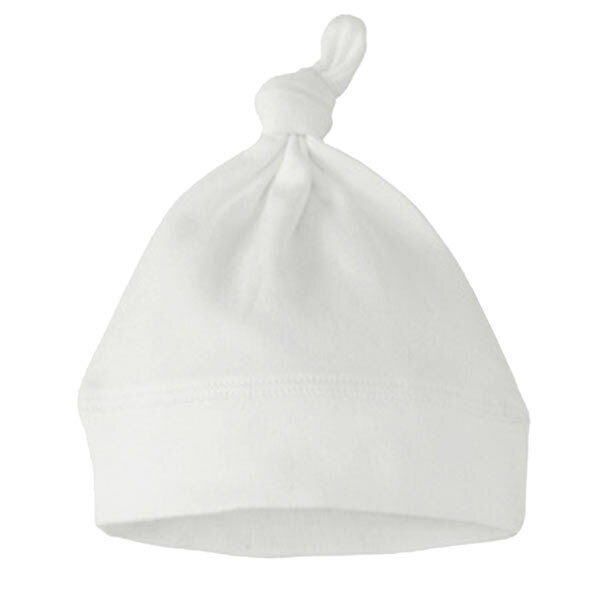 Hat in white - To match the bodysuit in 100% cotton and age 0-6 months. 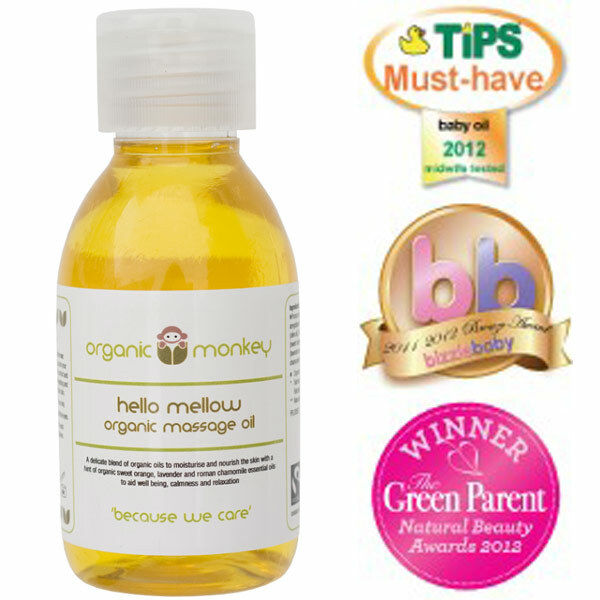 Organic Monkey Massage Oil - A delicate massage oil, made with organic ingredients to keep baby skin super soft. 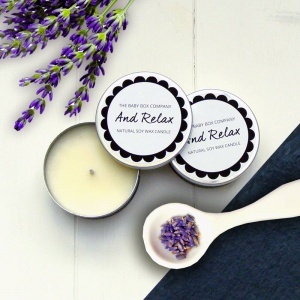 'And Relax' Scented Candle - Treat your new mum to a really indulgent treat. When this natural beeswax candle is lit it releases soothing scents to relax new parents. 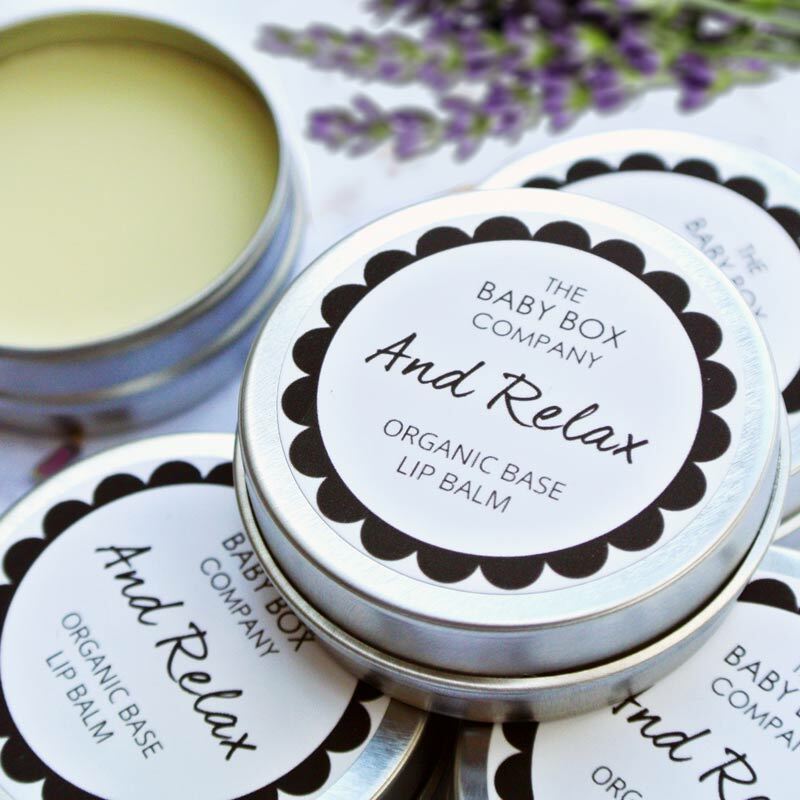 'And Relax' Scented Lip Balm - Made using natural essential oils, this handbag size lip balm, not only looks great but smells it too! 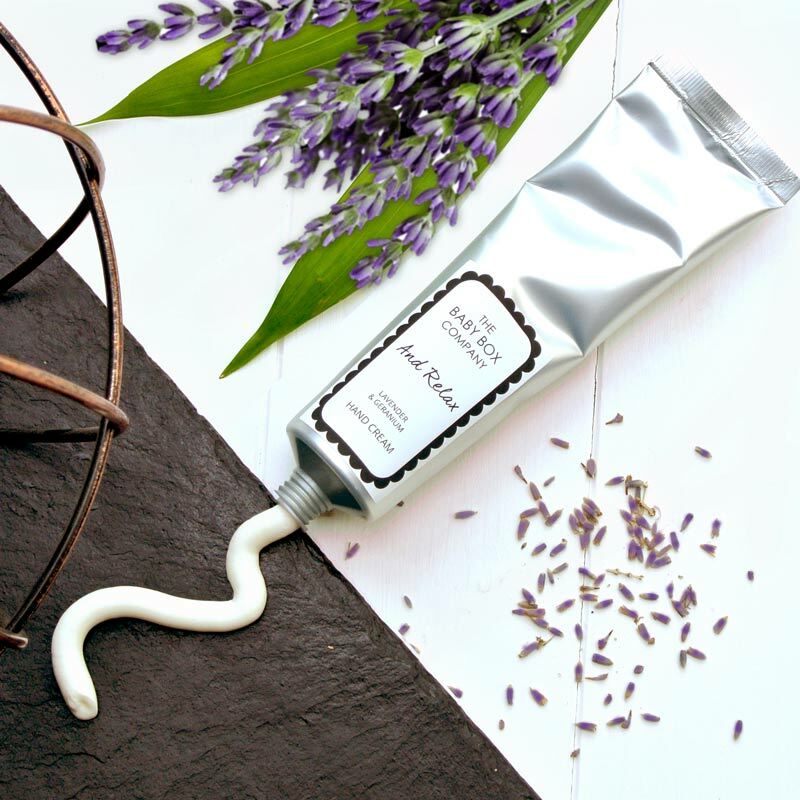 'Any Relax' hand cream - A soothing scent of relaxing essential oils and cocoa butter have been combined to give a luxury aromatherapy hand cream. 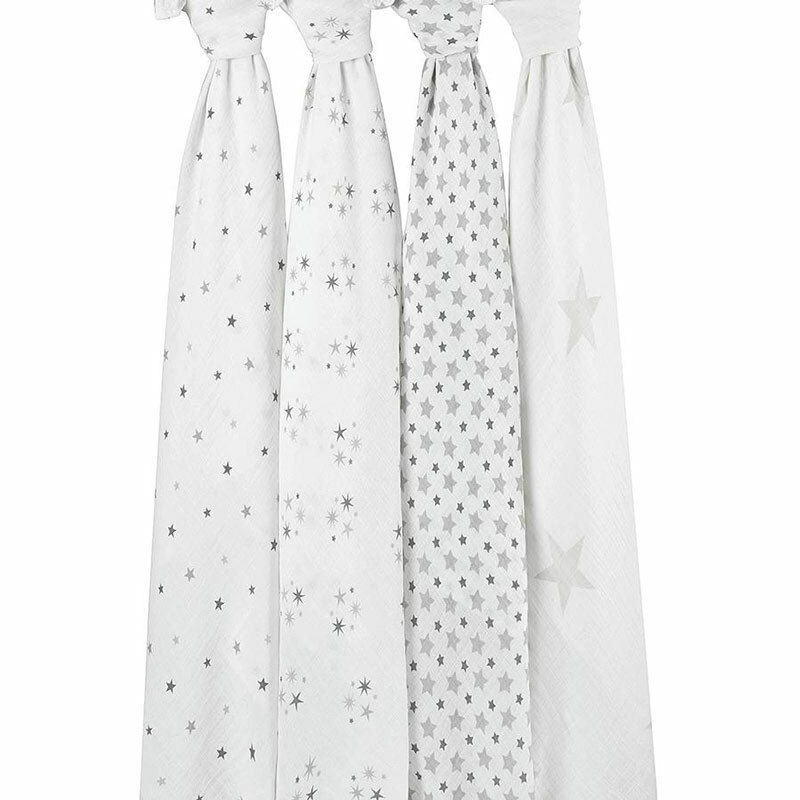 Sock On's in white - A really clever invention to be worn over socks and keep baby's socks in place. 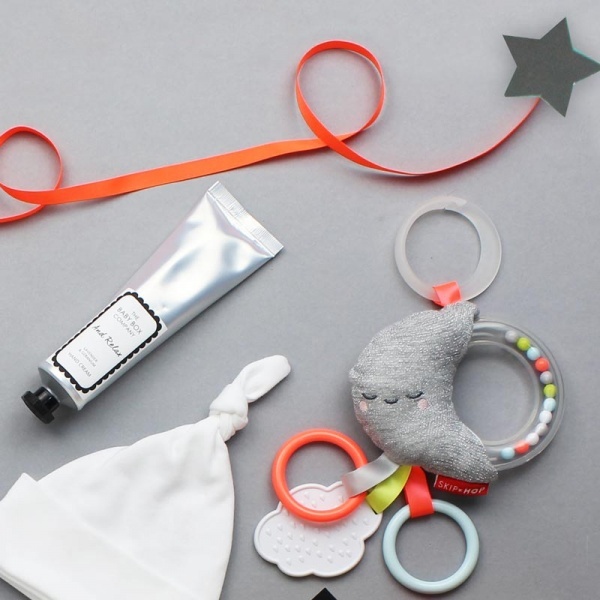 This is the unisex version in our ever popular Ultimate gift range, and so is perfect to take along to a baby shower as something really special. 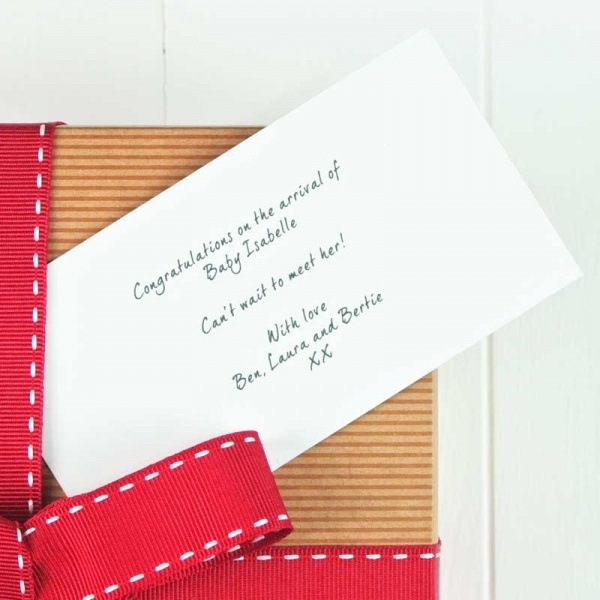 THIS PRODUCT COMES WITH FREE UK STANDARD DELIVERY and luxury gift wrapping!